In 1919, a small group of visionaries founded The American University in Cairo. Today, 100 years later, we are looking back to celebrate a century of leadership as Egypt’s global University. We are marking this milestone with a yearlong celebration intended to foster connections among the AUC community, capitalize on AUC’s strength and distinctive reputation both locally and globally, and support historic fundraising efforts that will position AUC for continued success in its second century. The Academic Activities and Programming Task Force looks at the planning and execution of public and internal programming for the centennial year that showcases AUC, its schools and programs. Drawing from each of AUC’s schools and student activities, this task force works to bring a single, unified yearlong program of activities that engages the AUC community and invites the public to campus. The Materials and Collateral Task Force works closely with the marketing and promotions task force, with its main focus on the development of materials that will be used for the commemoration and beyond. Chief among these materials is an AUC Press centenary book that looks at the history of the University as it relates to other milestones in Egypt and the world. Materials will be designed for use at the centennial and beyond as keepsakes and gifts for University supporters and dignitaries. The Marketing and Promotions Task Force focuses on developing both the look and feel of the centennial campaign and the marketing messages to be delivered through one or more campaigns. The Alumni Engagement and Fundraising Task Force looks at ways to utilize the centennial as a way to bring together the AUC community as a whole and alumni in particular. 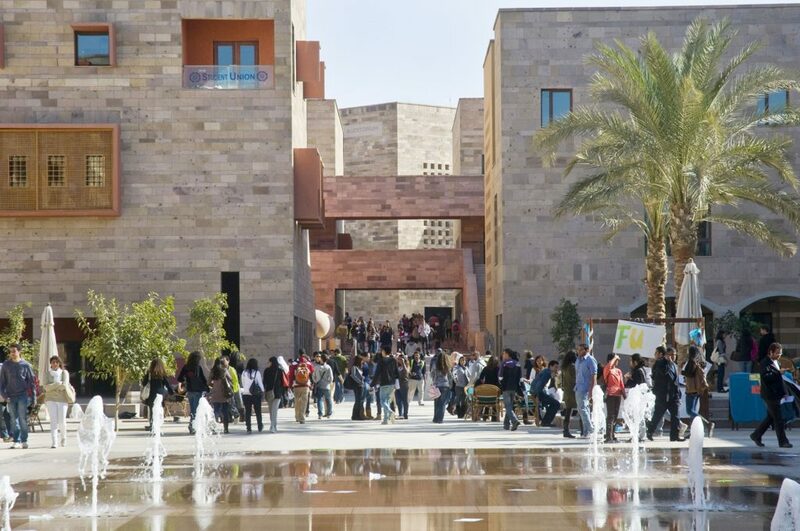 The taskforce will develop and implement techniques to get the campus excited about and engaged in the centennial commemoration – building on the AUC community pride and enhancing the University’s international presence and visibility. The Events Task Force considers how to plan and execute the high-impact events happening throughout the centennial year, beginning in February 2019. The centennial year of celebration will start in February 2019 and continue until February 2020. The festivities will culminate with a weeklong campus celebration and large gala event in February of 2020. Keep checking here for news and updates on AUC’s 100th birthday! The American University in Cairo has long been a regional student hub, offering a liberal arts education in the heart of the Middle East. Its community of students, parents, faculty and staff, trustees, alumni and other generous sponsors represent more than 60 countries.